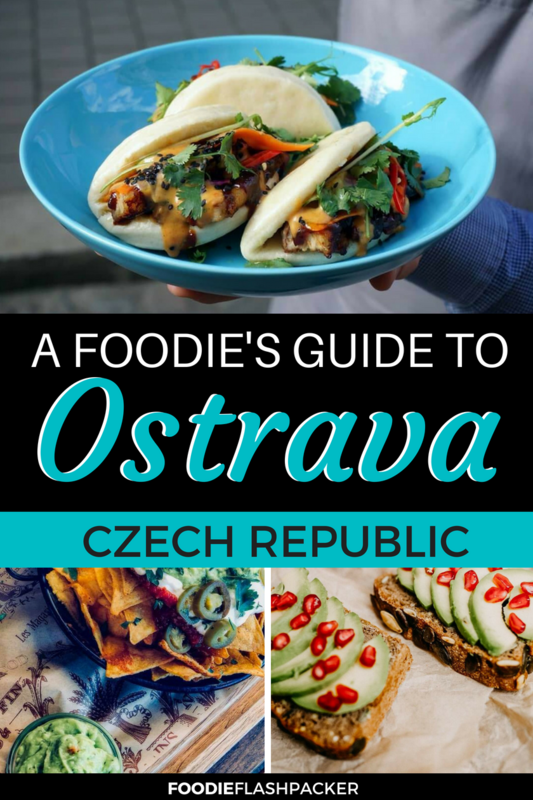 During my time in town to attend TBEX, I was seriously impressed with the number of options Ostrava restaurants presented. We not only found authentic Czech food, but also impressive burgers, Mexican and even Asian options. We also enjoyed some great brunch, which I didn’t find often in the rest of the Czech Republic! This became our go to restaurant during TBEX. 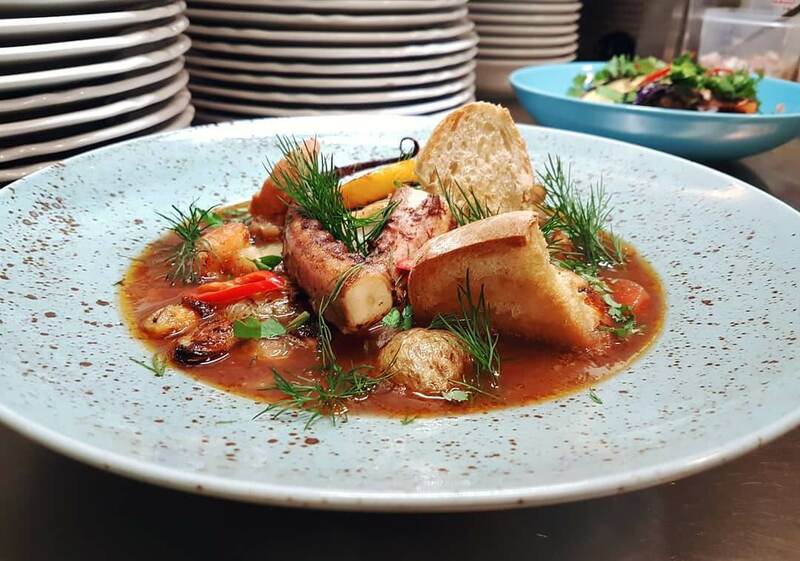 Radegastrovna is centrally located, has a great modern-day pub feel and features an open kitchen and large communal tables that were great for groups. 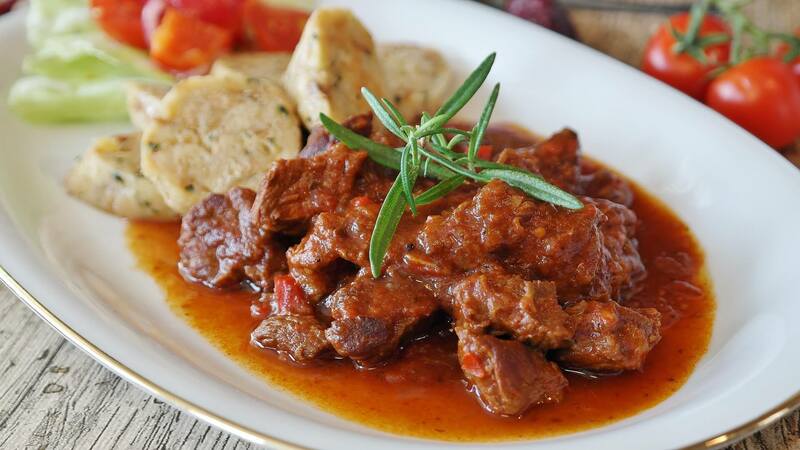 We loved their menu full of local Czech specialties like this goulash with herbed bread dumplings. Radegastovna also dry ages some gorgeous steaks and serves international fare such as burgers, chicken wings and these nachos. Of course, no pub would be complete without great beer, and there was plenty. They were ice-cold and served as fast as we could order them. 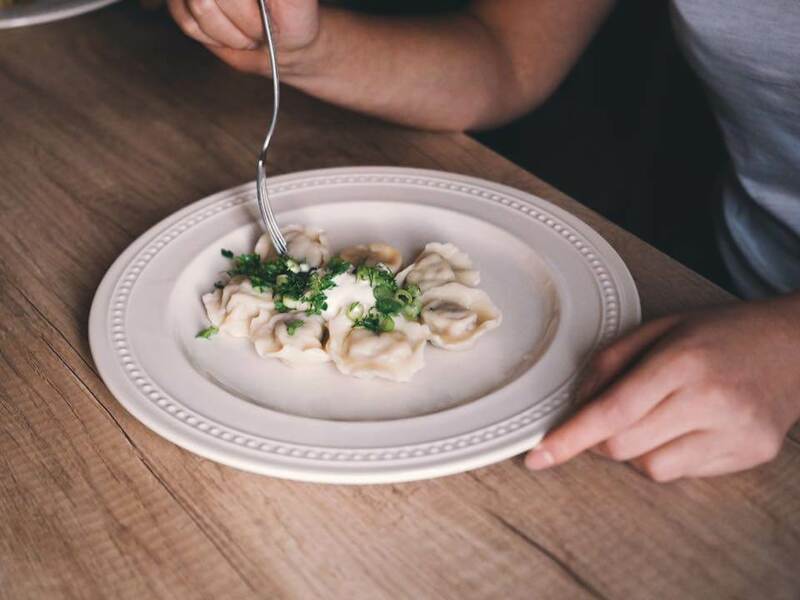 Pelmeški specializes in dumplings served Russian style—filled with pork or beef, topped with cream and sprinkled with dill and green onion. These made for a delicious, hearty, quick lunch. You can also find sweet options with berry jam and vegetarian options for the non-meat eaters in your group. I recommend their fried dumplings if you want a heartier lunch. The gorgeous, modern interior was the first thing to impress us about this bistro. We were further impressed when the food started hitting the table. 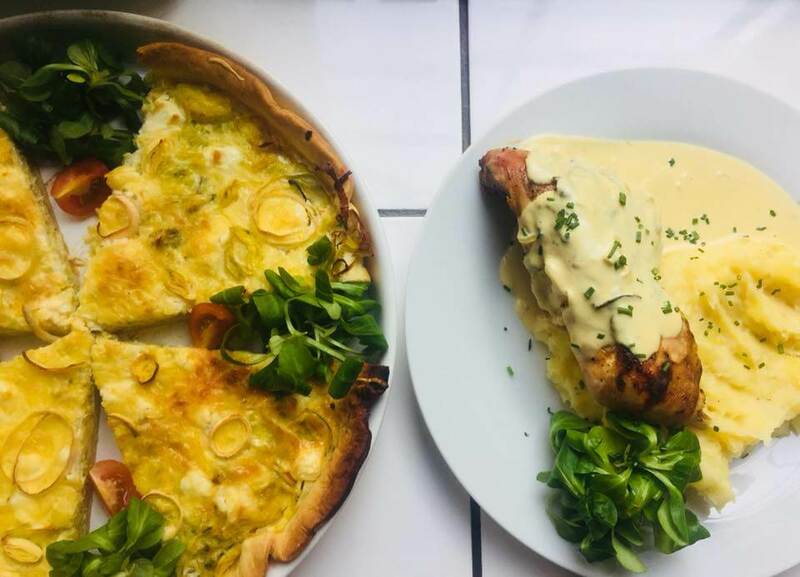 You can find everything here from eggs Benedict, Croque Madame, frittatas, vegan options, jalapeño burgers, veggie burgers, and gorgeous versions of local dishes like roasted duck leg with cabbage. The menu is updated often, so there’s always a reason to return. The staff were all so friendly and helpful as we made our menu decisions. This became another popular place for conference attendees. Here you’ll find burgers—including two vegetarian options—house made soups, sandwiches, pasta and even a huge T-bone steak served with purple gnocchi. 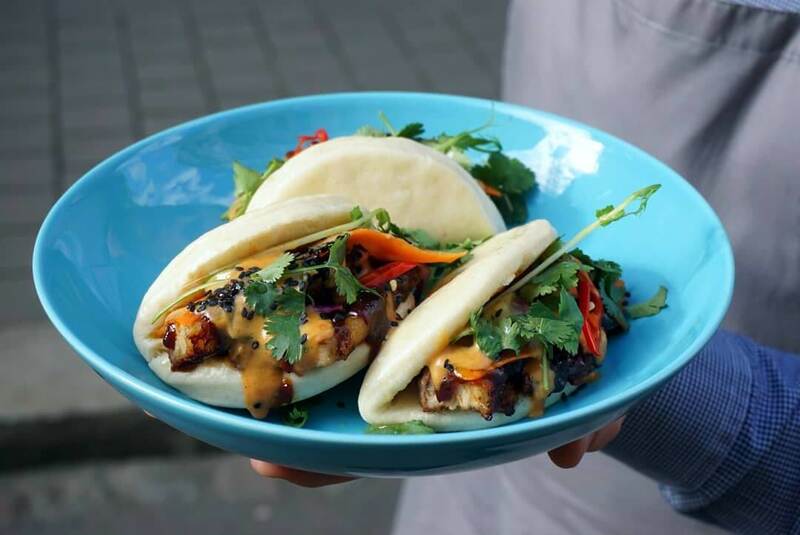 or bao: steamed Asian buns filled with roasted meat. Locals consider this place to have, hands down, the best burgers in town. Options range from a triple cheese burger to a guacamole spicy burger, and of course vegetarian options as well! 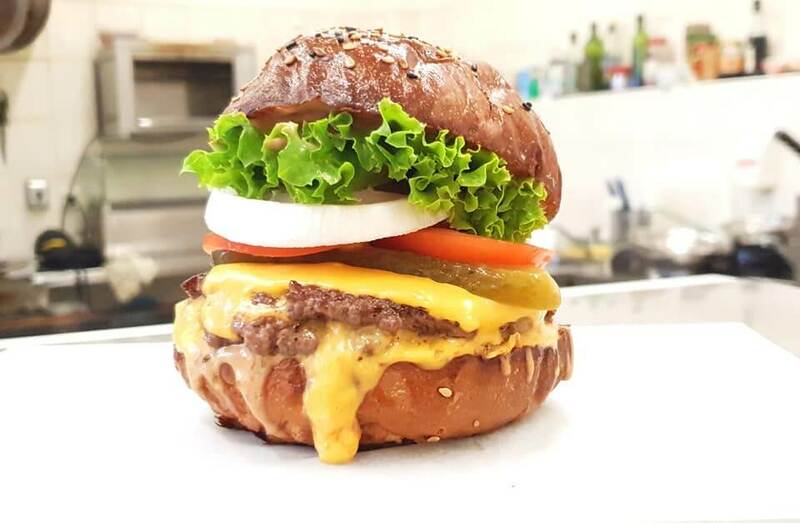 The buns are homemade, and many think that’s what makes their burgers so great. As Mama’s name implies, you can also find hot dogs here. But they’re best known for their burgers. 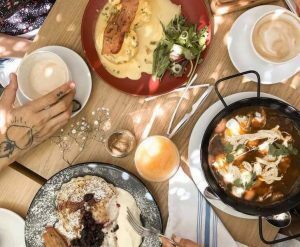 MeryJane’s is known for having one of the best breakfasts in Ostrava. 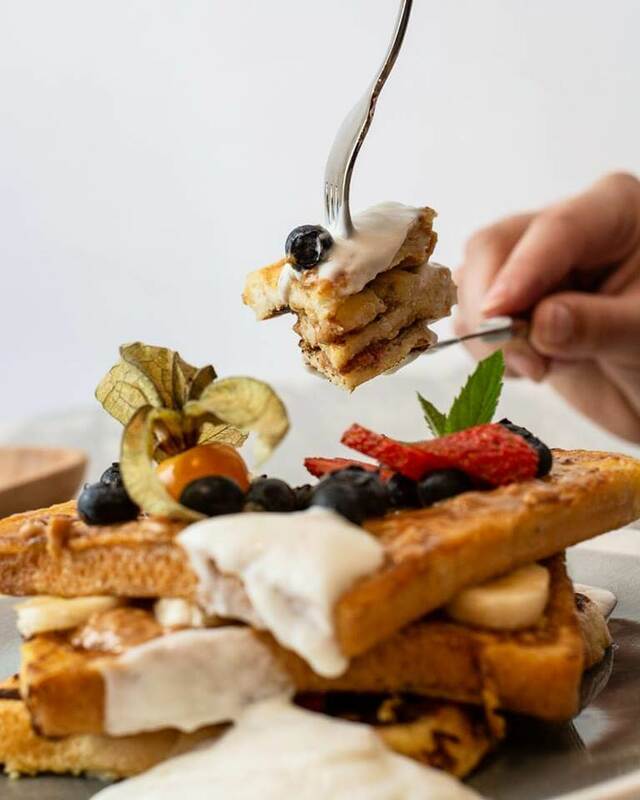 The menu features avocado toast, a classic full English breakfast, French toast with peanut butter and fruit, and homemade granola with fresh fruit and Greek yogurt. 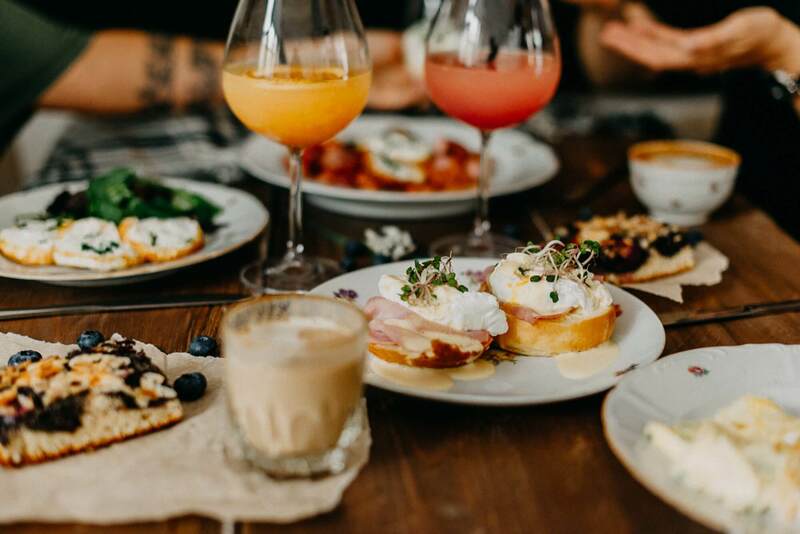 MeryJane’s isn’t just for breakfast though—they also offer an impressive lunch and dinner menu: grilled salmon with a shrimp ragout and potato, roasted beef with mashed potatoes, and more. Their acclaimed wine menu features local wineries. We found this tucked away restaurant featuring many Belgium recipes to be one of the best values of all the Ostrava restaurants we tried. 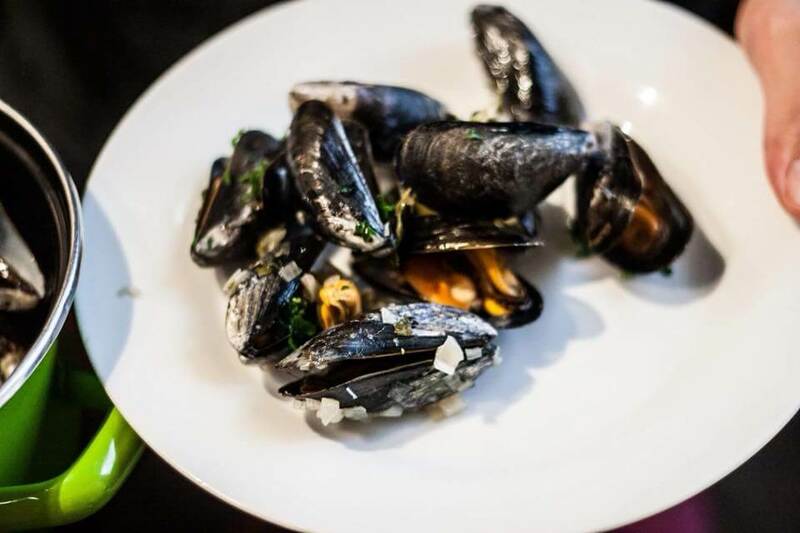 or settle into a big bowl of steamed mussels with a beer. They also serve a Belgian version of meatloaf served with fries, a salad topped with roasted duck, and a weekly specials menu. But make sure to save room for dessert—they are known for their molten chocolate cake. 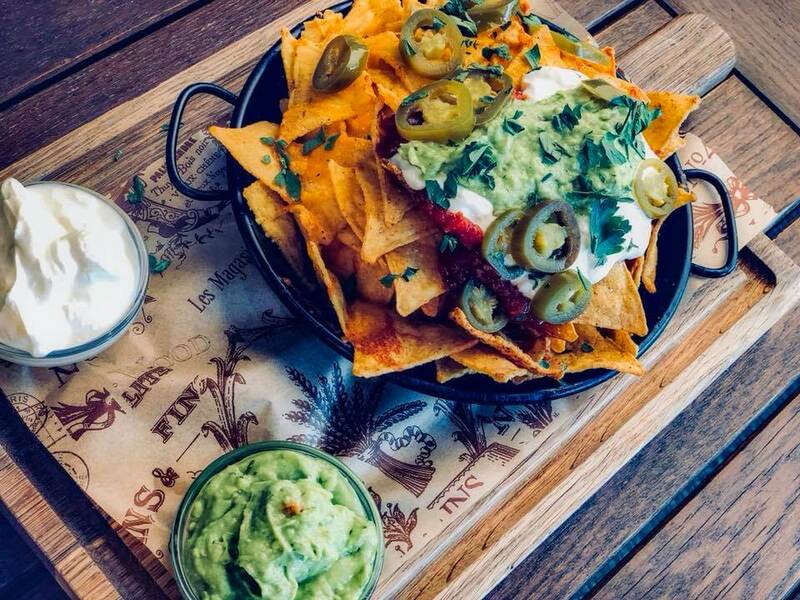 Mexican food in Ostrava? That was our reaction too. Turns out, Comedor Mexicano does a good version of what I’d call Tex-Mex (rather than authentic Mexican food). 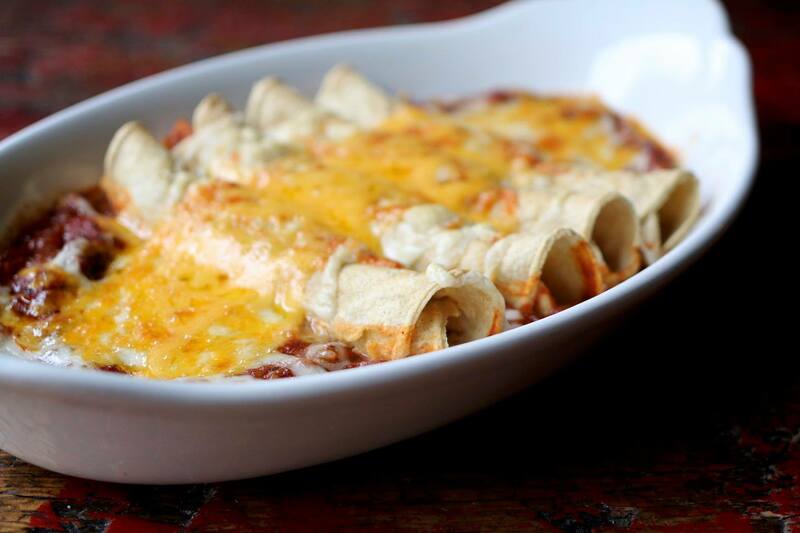 But, if you’re craving food from south of the border, this will definitely satisfy you’re craving. You can find ceviche, quesadillas, and enchiladas. 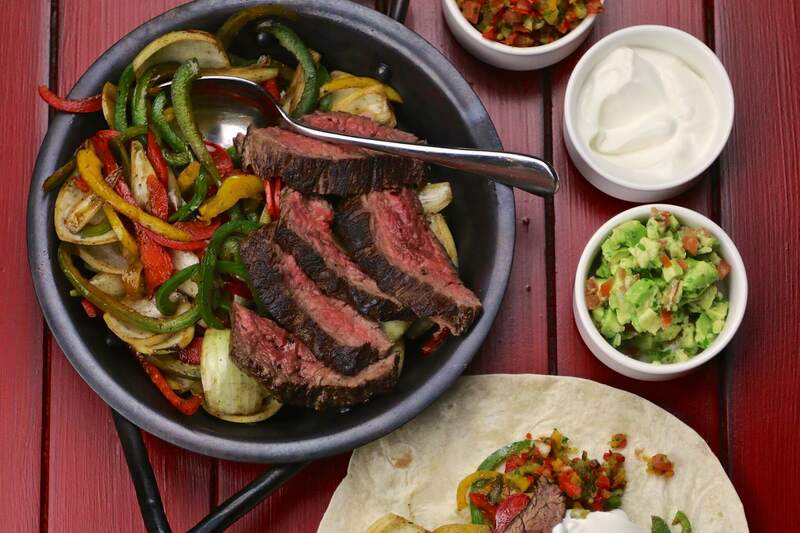 If you’re really hungry, opt for the beef fajitas served still sizzling with all the usual accompaniments. Comedor is also known for their steaks and ribs. One thing I must mention is that slow service seemed to be a constant problem, so this maybe isn’t the place if you need a quick dinner. 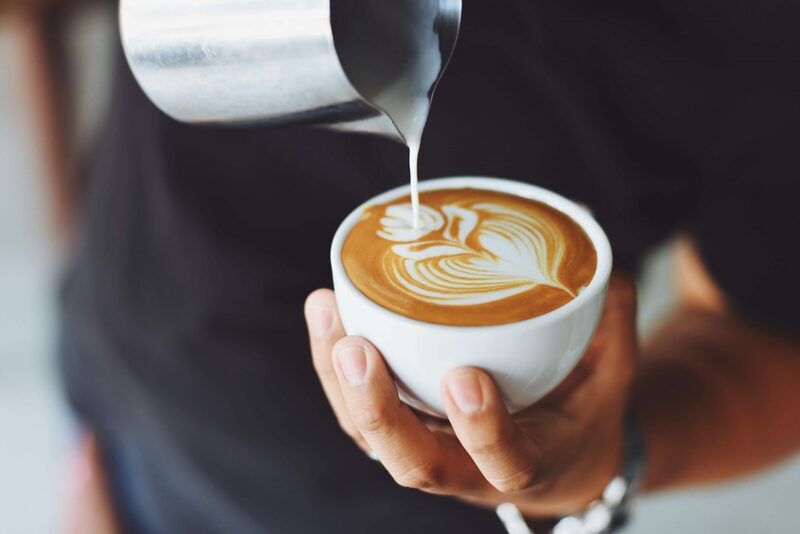 Nearly every local will agree that this is where you’ll find the best coffee in Ostrava. 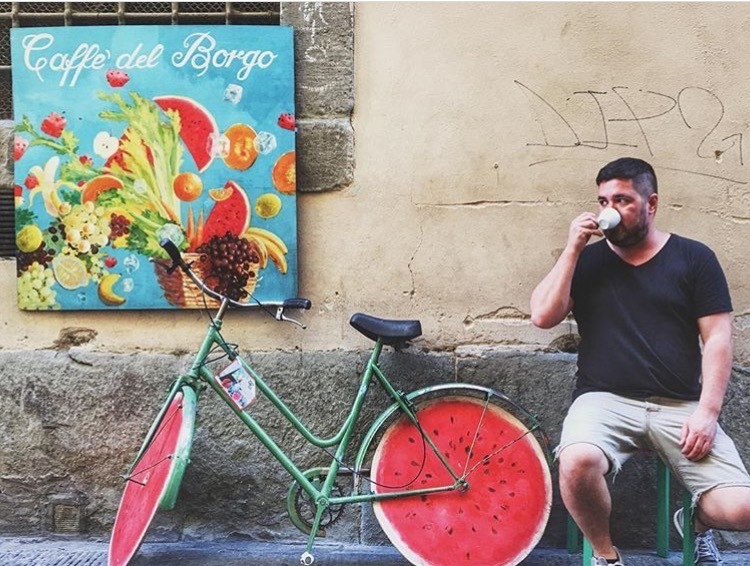 Everyone loved the cappuccinos, lattes, espressos and cortadas served up here by the friendly baristas. You can also choose from a selection of baked items to accompany your coffee. 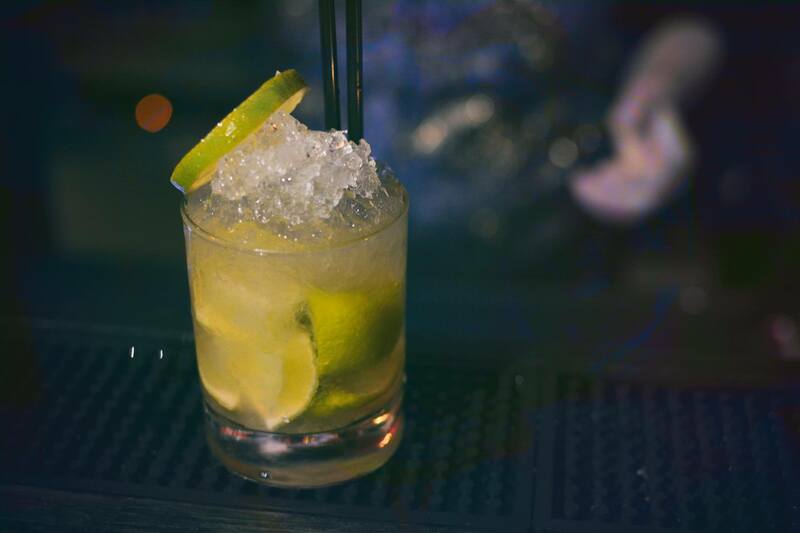 U Gustava is a speakeasy featuring fifteen signature drinks. And, in the unlikely event you’re not in the mood for anything on their signature cocktail list, they’ll happily create a drink for you on the spot. Just tell them your favorite flavor profiles and the knowledgeable staff will make a drink that’s sure to please. We loved the speakeasy vibe. Don’t be fooled by the initial small appearance when you walk in—there’s a second room behind the curtain if you have a large group and want to sit together. These were my favorite Ostrava restaurants! Which ones look the best to you? Let me know in the comments section below!